One of the biggest thrills other than riding all over this beautiful planet with the cool wind in your face and the rumble of the v- twin below you, is customizing your machine to you! From motorcycle bags and seats to wheels and windshields, customize your bike to you. 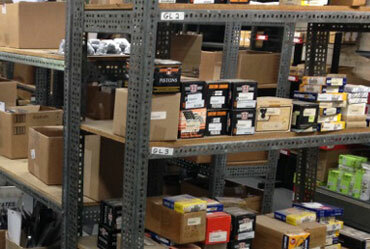 We carry a full line of Harley-Davidson motorcycle parts in our Rome store or at our E-bay store. With thousands of custom parts and accessories for your thunderous Harley-Davidson motorcycle you will find all of the parts you need for Harley-Davidson models from brands such as Dyna, Softail, Sportster & Touring. We'll help if you're building your Harley from the ground up or you're getting it ready for riding weather, we have a complete selection of motorcycle parts including engines, footpegs, tires and more! 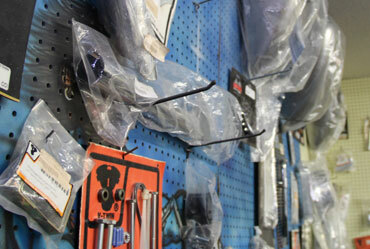 If your looking for stylish, protective gear to select parts for your bike, let us show you what we have. Our knowledgeable staff of domestic cruiser riders know their Harleys. 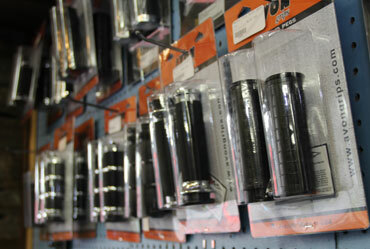 Come down and take a look at our accessories to compliment the look and feel of your ride. From a new set of handlebars, points cover to footpegs you can transform your riding experience. We carry brands like Arlen Ness, Le Pera, Biltwell, and Roland Sands. We carry the parts you need to make customization easy with wiring and cable kits, bike-specific handlebars, air cleaners and bolt-on wheels. Our Harley exhaust selection with brands from Rinehart, Bassani, Roland Sands, and Vance & Hines Exhaust among others give you a lot to select from. If you don't see what you need, or have some questions, please call or email one of our knowledgeable staff.